U.S. 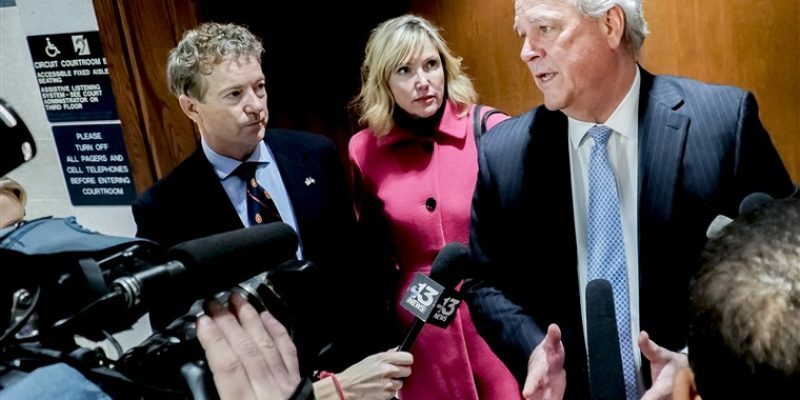 Senator Rand Paul (R-KY) on Wednesday was awarded $580,000 in total damages by a Kentucky jury after 6 hours of deliberation. The lawsuit stemmed from a 2017 assault in which Dr. Paul’s neighbor, Rene Boucher, tackled him in his lawn and kicked him repeatedly, breaking six of his ribs. The civil trial follows last year’s criminal trial in which Boucher pled guilty to assaulting a member of Congress and was sentenced to 30 days in jail with 1 year of correctional supervision. The incident is not believed to be political motivated and instead began over a disagreement on lawn etiquette. Dr. Rand Paul is a practicing opthemalogist and two-term U. S. Senator. He is the son of retired Congressman and Presidential candidate Dr. Ron Paul.